Caregivers, while on a waitlist to receive services for their child, who had a mindfulness intervention had reductions in distress more than those who attended information sessions about services and supports. 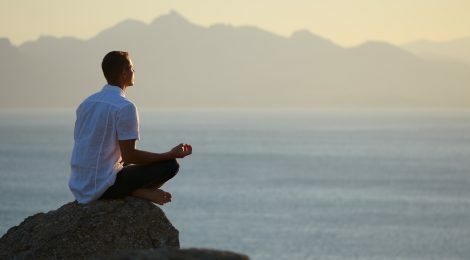 Mindfulness techniques involve intentionally paying attention to inner state, “being present in the moment”, and not denying negative emotions that may be present. These may be helpful to alleviate the continual stress of caregivers during their child’s adult years while caregivers themselves are aging. Mindfulness can foster a focus on self-care, being less solution oriented, and stronger caregiver-child relationships. This would protect from caregivers from exhaustion and distress in light of complex issues in the adult years, and help them managing the changing relationship dynamics as the child ages. This study compared outcomes for caregivers of adult children who received a mindfulness intervention versus those who were in a support and education group. The researchers invited caregivers who were eligible and on a waitlist for community and social services. In the end, there were 26 caregivers in mindfulness group and 24 in information/support group that completed the study. Caregivers were an average age of 56.6, ranging from 37-81. Each group had 7 sessions that were 2 hours long. The mindfulness group had mindfulness activities (e.g. 3 min breathing exercises, 20 min mediation), reflection time, exercises to take home. The information/support group had presentations on topics selected by the group. Presentation topics included person-directed planning, and accessing supports and resources around respite, clinical, housing, and crisis intervention. Researchers used questionnaires at the start, after intervention finished (8 weeks later) and 3 months later to measure outcomes in both groups. The researchers found that caregivers in the mindfulness group had less distress after the intervention that continued 3 months later. This was not observed in the parent information/support group. Both groups reported similar satisfaction with the sessions they had attended. At the 3 month follow up, 81% of those in the mindfulness group reported that they continued to use what they learned at least 3-4 times a week. It is important to note that many who were interested to participate initially could not due to scheduling conflicts, language barriers, issues with transportation, child/caregiver health, or child care. This study shows that the psychological component of mindfulness is more effective than information and support services to decrease stress for parents seeking and waiting for services for their adult child. Mindfulness is helpful in a context of ongoing frustration that are out of one’s control. This modified intervention (shorter sessions that busy caregivers could attend) was still effective. Future interventions need to address the barriers that caregivers face in order to participate. Lunsky (PhD, C. Psych) is a Clinician-Scientist in Adult Neurodevelopmental Services at the Centre for Addiction and Mental Health and Professor at the University of Toronto, Toronto, Canada. Hastings (PhD) is a Professor at the Centre for Educational Development Appraisal and Research at the University of Warwick in Coventry, UK. Weiss (PhD, C. Psych) is an Associate Professor in Psychology at York University in Toronto. Palucka (PhD) is an Assistant Professor at the University of Toronto. Hutton is with Community Living Toronto. White is with Developmental Services Ontario, Toronto Region.